Taylor Family Chiropractic was opened in 2017 by husband-and-wife team Dr. Cliff and Dr. Christy Taylor. Together, they attended Life University, then had considered a move to Michigan. Dr. Christy soon realized, however, that she wanted to remain close to her family, and she and Dr. Cliff decided to start practicing in Medway. They love our area and all the wonderful people in it. Their passion is serving area families with natural, safe and effective chiropractic care. Dr. Christy grew up in the natural healing profession with a father who was a chiropractor. Early on, she saw the many positive effects chiropractic care could have on people from all walks of life — from a child with cancer who was able to live well beyond what the doctors had predicted to parents and grandparents who could get down on the floor and play with their kids or grandkids. Chiropractic offers much more than simple pain relief; it’s about helping you realize your health potential. 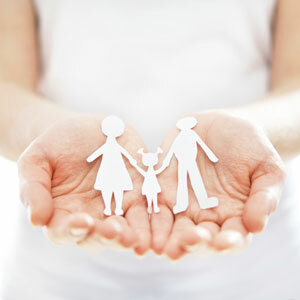 Taylor Family Chiropractic focuses on traditional chiropractic care that works for all ages, from newborns to seniors. Rather than claiming to cure or treat, our chiropractors concentrate on the health of your nervous system, removing any interference that may be present in the form of spinal subluxations. When these interferences are eliminated, you can see incredible results. We offer same-day appointments and welcome walk-ins. Schedule your time at our chiropractic office today, or stop by at your convenience!